As seen at the Athens airport. This past week, we spent a glorious week in Greece with Judy's hubby and our dear translator friends Catherine Christaki and Christos Floros (more on that fantastic vacation in a future post) and we saw a lot of clumsy attempts at English -- think menus, flyers, ads, etc. We oftentimes ask Keith, our resident native English speaker (and a funny, sarcastic attorney with a very dry sense of humor) what he thinks about the ads that have been translated, mostly very poorly. It's interesting to hear his perspective. As a non-translator, he isn't immediately put off by bad language. Rather, he either just doesn't get the ad, ignores it, moves on, or decides he doesn't want the product (this recently happened with an Austrian Airlines ad, which had Keith shaking his head in disbelief). He doesn't speak another language, so he can't really deduce the message's meaning based on the source text. It's fascinating to pick his brain about language and its impact. In general, he thinks about language significantly less than we do, which isn't surprising. When we showed him the ad that we've included above, he said he certainly understood what was being said, but that he also thought it was funny because it's missing a noun. Translating any sort of advertising is a very challenging undertaking, and we have many fantastic colleagues who tackle who are really good at it. We don't know if this is a translation or a clever (or not clever?) language experiment, but German company Jacobs is using the slogan "Experience the perfect." It's not terrible (and it's certainly different and attention-catching, which is the point of advertising) and one could construe it as a clever attempt at molding and shaping the language into something new (after all, language changes and evolves). And of course, advertising language has been pushing the envelope for decades. Alternatively, it may just be a bad translation. Your opinion might depend on your perspective and perhaps on the languages you speak and your tolerance for new advertising speak. Another question is this: is the world ready for the nounification of adjectives? Perhaps? Are we ready for "the perfect"? What about you, dear colleagues? What do you think? Would you have come up with something entirely different or stuck with the straight-up translation? We could not verify this on the Jacbos website, but perhaps the original German was "Erleben Sie Perfektion. "Do you think the existing translation (assuming that it is) is mortifying or is it good enough? Does it communicate the message, which is the point of translation? Or do you think this was created from scratch in English and is meant to push the language envelope? OK, those are too many questions for a Friday afternoon (in Europe), but it's food for thought. We'd love to hear your opinions on this. We find this topic very interesting, and we hope you do, too. It seems to be a growing trend. 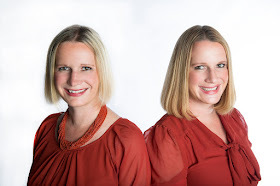 @Alina: Thanks so much for pointing us to Nancy Friedman's blog post. Very interesting stuff indeed. It's fascinating to read about the language of commerce, and we appreciate you telling us about her blog. We will be sure to read it on a regular basis. In my opinion, "experience the perfect" is a good attention-grabbing marketing construct. Maybe a little too New Age for my taste. On the other hand, may I gently point out that "deduct" is not the same as "deduce". The former means "subtract" where what you meant was "deduce", meaning "to infer logically". In some cases, multilingual advertising isn't truly an attempt to market to native speakers of other languages, it's more a way to say "Look! Our brand is international! We're hip and trendy and cool!" In that sense, the purpose of the English ad is not to market to native English speakers. Its purpose is to impress the locals and other international travellers. This may be more extensive in countries that use a non-Latin alphabet: check out the explanation at http://www.engrish.com/engrish-faq/#Q3 (and enjoy a laugh at the daily "Engrish" offerings). I don't know what such a slogan would be worth from a marketing perspective, but it's one possibility. "Experience the perfect" as a translation of the German "Erleben Sie Perfektion" seems a bit far-fetched, but that is maybe the linguist in me protesting that it is too obviously weird/incomplete/wrong. @Marie: Excellent point! That's what we love about this blog -- we get to hear different perspectives and it gets us thinking about them, too. We completely agree with you that it very much could be meant so the reader completes the sentence in his/her mind with the image of the coffee cup. Could very well be..... and perhaps the beauty of advertising is also that things can be interpreted many different ways. Thanks for reading and for commenting! @Gabriel: We agree with you. The more we think about it, the more we like it, as it's quite clever. We were initially put off by it, but it's beginning to make perfect sense. Thanks so much for letting us know about the error; you are absolutely right. It's fixed now. Thanks for your insight and for sharing it on this forum. @Amy: Very good point indeed. This is a perspective we hadn't really considered -- that it's about impressing locals and not tourists. We've seen many attempts at this, including restaurants in Brazil that call themselves "steakhouse" even though the place serves Italian food. It sure looks like English is hip and cool -- who knew? Thanks for commenting and for your insight. This gave me a lot to think about. When I first read the ad, I read it like some of the other commenters. Either it's a cutting-edge kind of language twist and it really is supposed to be "experience the perfect," or you're supposed to read the image as part of the sentence. I think if it had been in an American airport I would have written it off entirely as an advertising turn of phrase. But knowing that it was in an airport in Greece, I'm honestly not sure whether it's clever advertising or a clumsy translation. If I were the company, I would sure pretend that the clever adspeak is what I was going for all along! I actually looked at this ad as being OK - until I started analyzing it grammatically. I saw "the perfect" as some kind of collective noun, like "experience the sublime." As an English speaker, it can work for me. But sure, it's missing a noun. Experience the perfect what? Or, it should say "experience perfection." I also enjoy ads translated into English when I travel. I am starting to take pictures of these, because I get a kick out of them. That's interesting what your lawyer friend said about not getting the ads. I saw a report on German TV recently about how many if not most Germans simply don't understand common "Americanized" company or ad slogans used here. One pharmacy's slogan is "come in and find out," for instance, and many Germans asked thought they meant "come in and find your way out again" with that. @Marie: I really like your idea! And it works, so... who knows? Maybe that was their intention all along. @mulleflupp: The idea of including the complete slogan inside the coffee cup is brilliant indeed -- we like! @Samantha: We feel the same way -- it seemed very obvious at first, especially to our hyper-critical native speaker, who wrote it off as silly, but upon closer inspection, there's more to this than one thinks... this is a great topic. Thanks for reading and for commenting. @Places I've been: Thanks for your lovely comment. That was our first instinct, too -- that the slogan was missing a noun, but then again, since "perfect" is being used as a noun.... it takes some getting used to, but it might work. It's fascinating to see language change and evolve. And we agree that it's fun to take pictures of translations while on the road -- much amusement. @EP: Ah, very interesting. Yep, we've seen that drugstore slogan, and how intriguing that Germans were thinking along different lines. We could discuss this topic all year -- great stuff! @Alina: True; who knows what their true intention was.... we can only speculate. "Adjective nounification" is nothing new - just think of phrases like "the dispossessed", "the disenfranchised", and so on. Perhaps the capital 'P' in "Perfect" is intended to hint that it's supposed to be a noun. And no, I'm not a Germanist :). 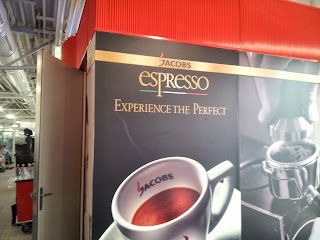 I doubt that "Experience the perfect Jacobs" was the intention, as that implies some Jacobses have imperfections. In Italy, English often figures heavily in advertising, as indeed do other languages: we get Seat's "auto emocion", Audi's "das Auto" and plenty more besides. Indeed, English is often imported "incorrectly" ("footing" in Italian means "jogging" ...), so if I saw something linguistically "dubious" at an Italian airport, I'd tend to assume it was an error. I like it! So true, I agree, so many things get lost ina bad translation that you do not actually get the right meaning.